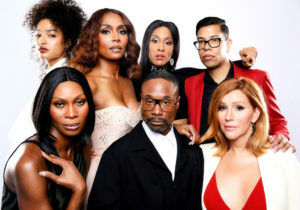 LOS ANGELES — A record-high percentage of LGBTQ characters are part of the new TV season’s prime-time network series, according to the media advocacy group GLAAD. The organization called on networks to reach 10 percent inclusion for LGBTQ characters in prime-time in the next two years. There is gender parity among LGBTQ characters on broadcast TV at 49.6 percent each for men and women, compared to last year’s division of 55 male, 44 percent female. Across all platforms, including broadcasting, cable and streaming, the number of bisexual people rose from 93 last season to 117 in the current one. Transgender characters are up from 17 to 26, and HIV-positive characters went from two to seven. On cable channels, the number of regularly seen and recurring LGBTQ characters increased to 208 from last year’s 173. Amazon, Hulu and Netflix original series had a combined 112 LGBTQ characters, a noteworthy increase from 65 characters last season.